Field mountable custom control boxes provide local control for various devices such as electric motor operators and solenoid valves. 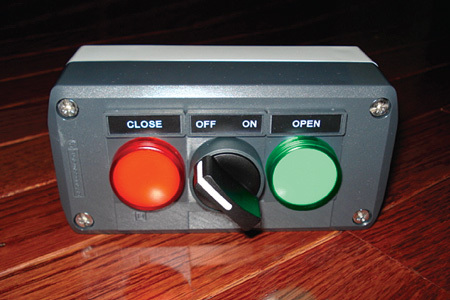 These control boxes are available in many configurations such as: on/off, start/stop, open/stop/close, just to list a few. LED (light emitting diodes) indicator lamps light up red and green to display valve and/or actuator position. Weather resistant high impact plastic enclosure standard. This entry was posted in Custom Projects and tagged Control Boxes, Solenoid Valves. Bookmark the permalink.